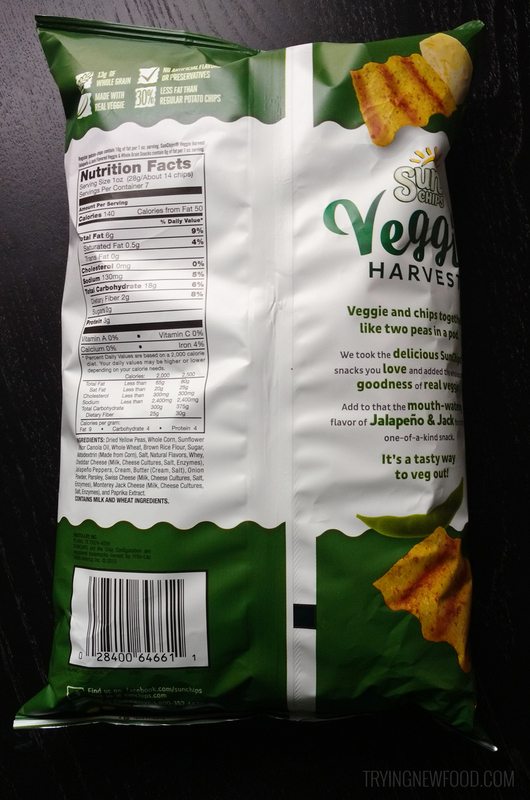 Strange enough, I can’t locate any info about this flavor of the SunChips Veggie Harvest chips on their site. So either this flavor is new or discontinued, but I’m going to guess it’s just new. 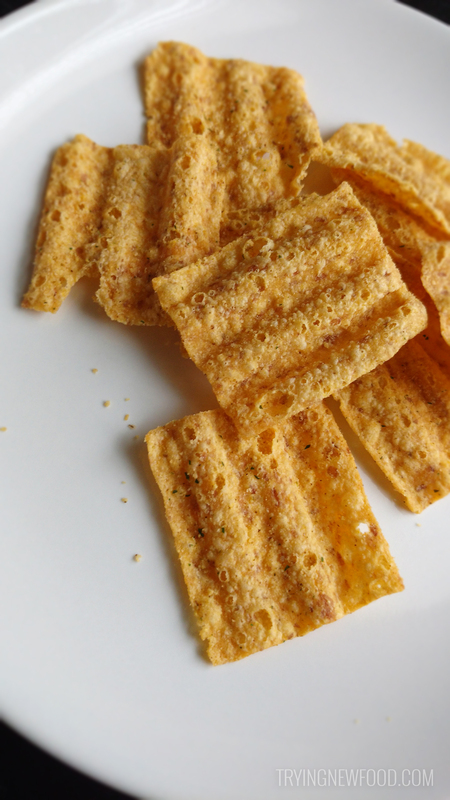 Visually, they look the same as other SunChips. Not sure if I need to keep including the back of the bags in my posts, but here it is in case you need to see the ingredients or nutritional info since it’s not up on the SunChips site just yet. The chips tasted similar to the other SunChips we’ve had before, but these had a spiciness to them that built up with each chip. They definitely had the heat of the jalapeño, but the Monterey Jack cheese flavor was pretty mild. One strange thing about this specific flavor was that after we ate a handful of these, we’d end up coughing from a slight itch in our throats. We think it’s from accidentally inhaling some of the spicy flavor coating off the chips. My favorite flavor is still Farmhouse Ranch. 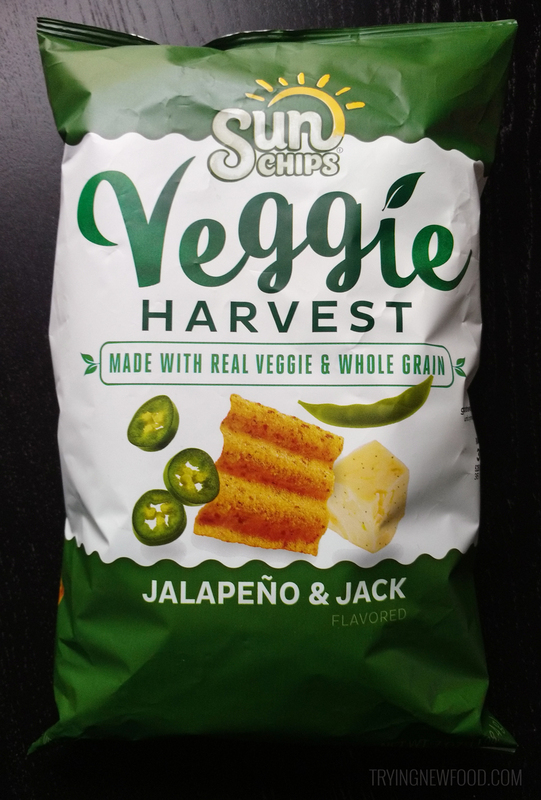 If I’m craving a snack with a bit of heat, I’ll pick these SunChips Veggie Harvest Jalapeno & Jack.